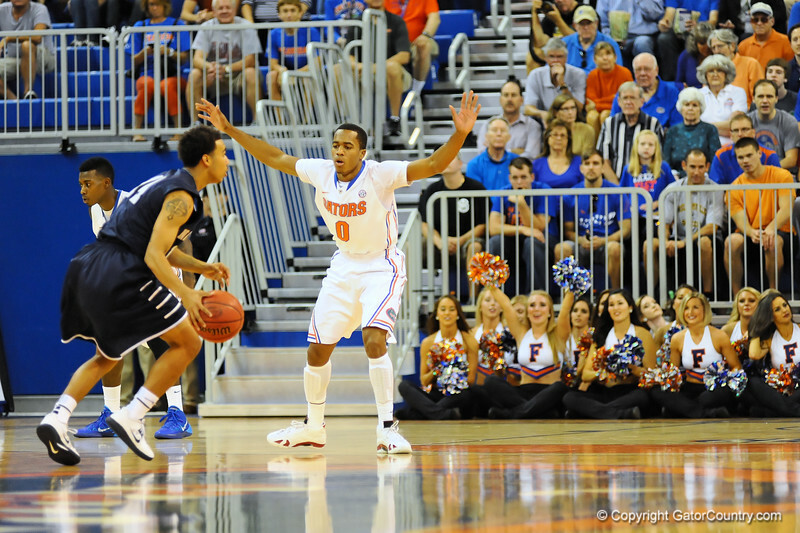 Florida's guard Kasey Hill defends North Florida guard Devin Wilson in the first half. Florida Gators vs North Florida Ospreys. Stephen C. O'Connell Center, Gainesville, FL. November 8, 2013.